OMG a New Radiohead Song – Staircase! | Actionsuit Alert! OMG a New Radiohead Song – Staircase! Hopefully you recognize I’m being a little over the top in the title, but still, I like the new song and love most of their ‘In the Basement’ recordings. Not sure what crazy Radiohead forum I was in to give credit, but I ran across a post for a great Radiohead playlist combining ‘OK Computer’ and ‘In Rainbows’. Start with Airbag and then alternate tracks between the albums with the exception that ‘Fitter Happier’ follows directly after ‘Karma Police’. The prevailing theory on the forum was that the two albums, published exactly ten years apart, were actually purposefully made to be played together. In any case it flows perfectly. 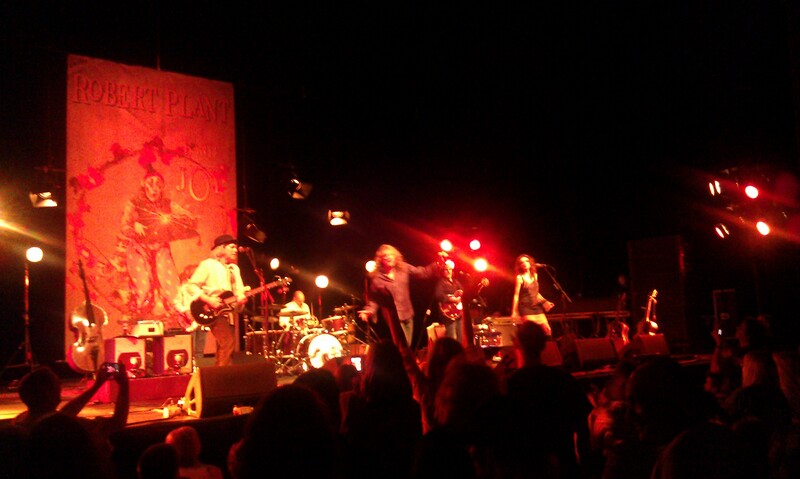 In other music I saw Robert Plant on his Band of Joy Tour at the Fox last Thursday. The wife snagged some front row (past the orchestra pit) ticket goodness for us and we thoroughly enjoyed the show. The Fox remains the best place to see a concert in St. Louis, short of Robert and the gang showing up in my basement. And just a warning; they pour a mean Jack & Coke at the bar but they add up fast to the ‘I could have had a really nice steak somewhere’ level. The latest album, Band of Joy, is pretty good in my opinion and I realized after hearing ‘House of Cards’ live that the whole album seems meant to be heard live rather than from a studio album. And we all know why most people go to see Robert Plant in concert and they didn’t disappoint. Every other song was a Zeppelin cover and did not fail to get the crowd on their feet each time. The only complaint I have is that the set seemed very short but I wasn’t keeping track of the time (or was unable to keep track of time, I should say) and could have gone another 30 minutes. I can only imagine how bad my two day hangover would have been with more time to order another Jack & Coke though. This entry was posted in Music and tagged band of joy, fox theater, radiohead, rober plant, staircase by Myles Patrick. Bookmark the permalink.